There's still time to participate in Color Challenge 47! Remember, you don't have to have the EXACT colors to play. Just use colors inspired by the ones you see below. From Rosemary D. comes this lovely design featuring our Amazing and Mini Modern Blooms stamp sets. I love her addition of the soft gray! Simple and pretty. This card is also an entry for Sketch 284. And check out this sweet card by Dana Gong. 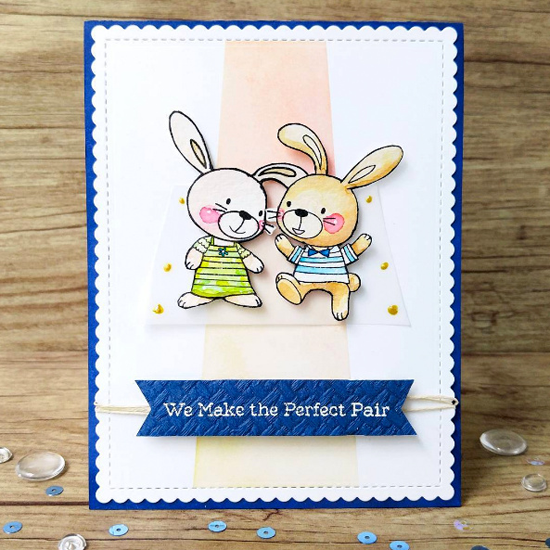 She features the super adorbs Snuggle Bunnies stamp set. I love how she created a dress for the bunny on the left and added a bow tie to the one on the right. So fun! 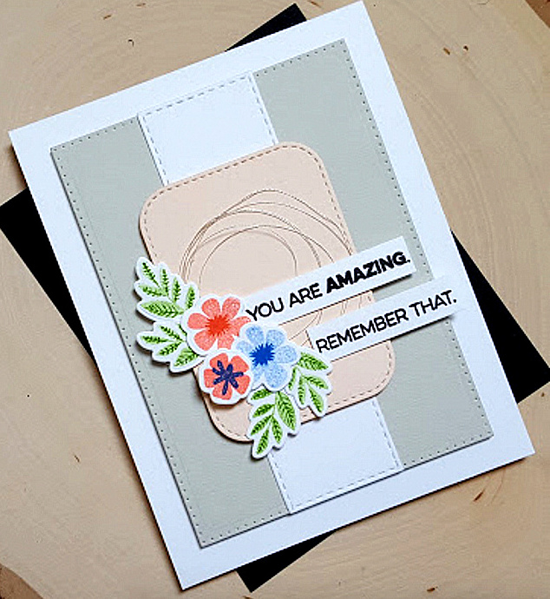 Thank you kindly for featuring my card:) It totally brightens my day!! Fun features! :) great job ladies!